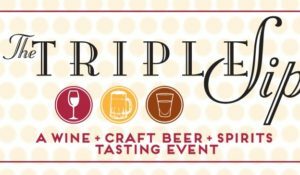 We invite your group to participate in the 15th Annual Pull Tab Collection Challenge benefiting Ronald McDonald House Charities of Nashville. 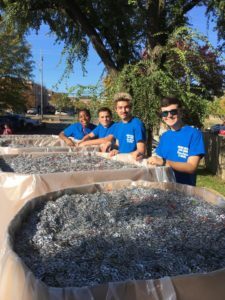 Lasy year, 24,464 individuals from 62 schools, organizations and businesses from across middle Tennessee, southern Kentucky and northern Alabama took on the challenge of collecting the most aluminum tabs from cans that can be recycled with all proceeds benefiting RMHC of Nashville. This year we need your help to make the challenge even bigger!! Our project is simple, fun and will engage schools and students across middle Tennessee, southern Kentucky and northern Alabama. From Friday, August 2 through Friday, November 15, 2019 participating schools, organizations or businesses will coordinate their groups in the collection of pull tabs. Collect the pull tabs in containers (gallon size plastic bags work the best). All registered groups will be contacted in late October with details of how to report the amount of tabs your group has collected. On November 9th, you will need to weigh the pull tabs you have collected and report back with that number. 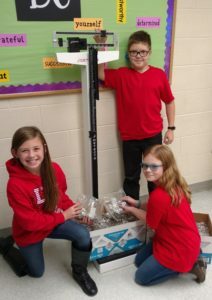 All groups will need to divide the total weight (use ounces as the measure) of pull tabs collected by the number of individuals in your school, organization or business. The winning group will be the school, organization or business that has the highest weight of tabs per individual in your group. We ask that you weigh all of the pull tabs you have collected and use the form found here to report the weight to us, along with the total number of students in your school. The weight must be reported in ounces. (1 pound = 16 ounces). Email the form to liz@rmhcnashville.com or Fax to 615-343-4004 by November 15th. November 22nd: Drop Day Celebration! Be a part of the Party! 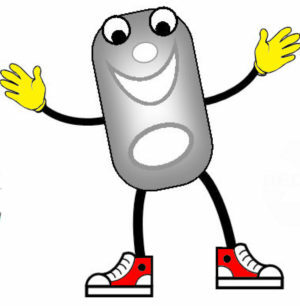 We will have a “Drop Day Celebration” on Friday, November 22nd, where schools are invited to the Nashville Ronald McDonald House to bring their aluminum can tabs to the House and help us fill our giant dumpster to be taken to a local recycle center. We encourage everyone who participates in the Pull Tab Collection Challenge to come to the House to be a part of our festivities. The celebration begins at 9:00 a.m. and will be conducted outside, so please dress warmly. Everyone will be “Dumping” tabs into our giant dumpsters along with the assistance of moms and dads, kids, and the Ronald McDonald House staff. We would like to extend an invitation for you to bring representatives from your school to help us. Please RSVP your plans to attend. The winning school will be announced at this fun celebration. (You do not have to be present to win). Remember – the school collecting the greatest weight of pull-tabs per student will be served lunch by their local McDonald’s restaurant at an agreed upon day and time. All students from every participating school will receive a coupon good for a free ice cream cone from their local McDonald’s restaurant. (Note: Cone coupons can be picked up or will arrive via mail during the month of December). This exciting project will help us raise money for the programs run by Ronald McDonald House Charities of Nashville while bringing attention to our mission to keep families close during the critical illness of a child. Simply fill out the online form or download & complete the registration form to confirm your schools’ participation! If you have any questions or need further information, please call (615) 343-4000 or email liz@rmhcnashville.com.